Large open spaces and an unmissable landmark make this one of the most popular spaceports on earth. Free musical entertainment on arrival too! 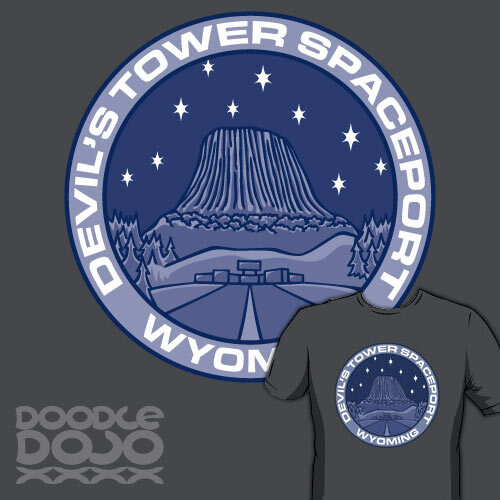 Devil's Tower is the unmistakable backdrop to Close Encounters of the Third Kind and Paul. Or check out the colour version available on society6. 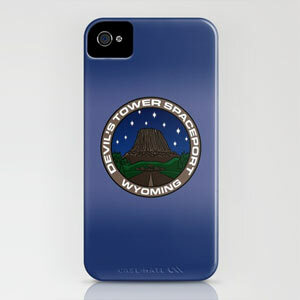 Also available on iPhone cases, stickers and posters from RedBubble as well as prints, laptop skins, tees and iPhone skins from Society6.